The cold weather is still with us so please make sure that you keep checking the local weather forecast for warnings about icy or snowy weather. Click here to find out about the weather forecast for your area and click here for advice about driving in snow and icy conditions. Click here to view the gritting route map produced by Staffordshire County Council. Stay wrapped up warm and wear shoes with good grip if you’re heading outside. Keep your home heated to at least 18C if you can and remember to check on any frail or older neighbours, especially those living alone. 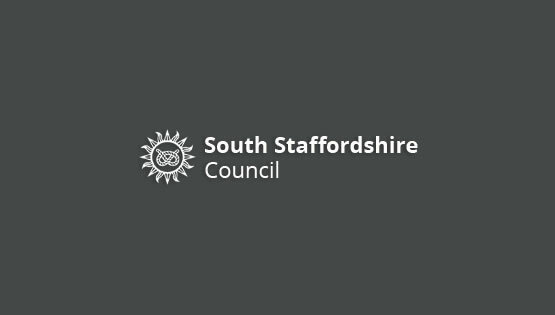 The first candidates and agents briefing session will take place on Wednesday 27 February 2019 at 5pm to 6.30pm at the Council Offices in Codsall. The session will be an opportunity for potential candidates and their agents to collect their nomination packs. For more information, please click here. Some of Baggeridge Country Park’s history came to the surface this week with a digger finding an old mine cart and part of a brick culvert. Click here to see some pics and like Baggeridge’s Facebook page for regular news about the park. If you’d like help switching your energy supplier, the Good Life Energy team will be visiting the Council Offices every Thursday between 9.30am and 1pm. Remember to bring along a recent energy bill. The Enterprise and Growth Team will be raising funds once more for World Cancer Day on Monday 4 February 2019 through the sale of cakes and fruit pots. Last year’s event was very successful and as we have some master bakers in the team we hope you will support us on the day! Monies raised will be split between Cancer UK and Compton Care. Community Lottery ‘triple’ superdraw – one week to go! On Saturday 9 February 2019, there will be a Community Lottery ‘triple’ superdraw taking place. Supporters will be in the chance of winning either an Amazon Alexa Fire7 Table with Alexa, four tickets to The Up Beat Beatles at Dudley Town Hall or four tickets to see Aretha: Respect at Wolverhampton Grand Theatre. To be in with the chance of winning one of these fantastic prizes, please support the Community Lottery before the draw on Saturday 9 February 2019. Tickets cost just £1 a week. Play today at www.southstaffslottery.co.uk . Good luck! The following organisations have achieved a 5 Rating following their food inspections this week – Greenway House Residential Home in Lower Penn, Catch Corner in Acton Gate, St Michael’s C of E School in Penkridge, Basil’s Restaurant in Kinver and Ye Olde White Hart in Kinver.